According to the National Institute of Drug Abuse, in 2015 there were 20,101 drug overdoses associated with prescription opiate based drugs and 12,990 deaths attributed to heroin overdoses, an illegal form of opiate drugs. We have continued to see overdoses from opiates surge. This accounts for more than 2/3 of all drug overdoses that occurred that year. The Institute also cites that emergency room visits for overdoses that did not result in death has grown by 70 percent over the last decade. 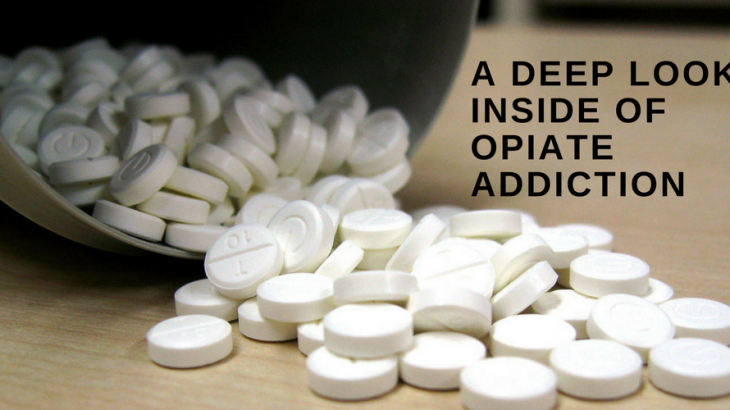 These startling figures show the dangers of opiate addiction. Thankfully, there is help available. Drug rehabilitation centers can save your life offering people facing the harsh reality of an opiate addiction a way to overcome this problem and learn to live life drug free. Opiates are drugs made from opium. Opium is a plant based substance that has been harvested for thousands of years. One of the beneficial qualities of opium is that it has the ability to mask pain sensors in the body by interacting with receptors in the brain. The opium floods the brain with “feel good” hormones which for many people also causes a state of euphoria. Over time the feel good hormones take more opiates to trigger. So people begin to use more drugs to achieve the same high. This can progress over time until an eventual overdose or drug related death occurs. Opiates are highly addictive. According to the Center for Disease Control (CDC) a person can become addicted mentally to an opiate based drug in as little as 10 days, and physically in as little as 21 days. This is why it is imperative that anyone who uses these types of medications for a medical condition do so under strict medical guidance. What Types Of Drugs Are Considered Opiates? Heart Attack. The opiates slow the heart rate to a point where it can no longer function properly. This can lead to heart failure or heart attack. Loss of Lung Function. Lungs are also impacted by opiates. Your breathing can become so slow that your lungs will have to labor hard to make sure you intake enough oxygen. Too much opiates may cause your lungs to just stop working. Severe Constipation. Your intestines are continually moving to process the food that you eat. This movement helps the body digest food and absorb nutrients. When this process is slowed by the opiates, you can become constipated. Overuse of opiates can lead to severe problems that will require surgery to correct. Nausea. Because your digestive system is not working properly you can experience regular nausea. This is a very common issue with opiate abuse. Sadly this often leads to people not wanting to eat to avoid the problem which in turn creates more health problems. Confusion and Mood Swings. Opiates directly affect your brain chemicals. Because of this you can experience confusion, mood swings, depression, and mania. The good news is that once you have entered rehab you can overcome and correct many of these problems. One of the main issues addressed in rehabilitation centers is how to stay healthy after you have beaten an addiction. When you are in the grasp of an addiction it may seem like there is no way to every break the hold the substance has on your life. The good news is that if you want to break the addiction you can. Wanting to overcome a problem is the first step to success. Working closely with a quality rehabilitation center is your next step to overcoming your addiction. You will need to choose between inpatient and outpatient rehabilitation. During rehab you will learn about the physical and mental issues that have led to your addiction or are the result of your addiction and how to make the necessary changes to overcome these problems. Your substance abuse counselor will work with you at every level of your recovery to help ensure that you take the steps necessary to leaving your addiction behind. Whether you are in a live in program or attend recovery on an outpatient basis, your counselor will be your guide throughout the entire recovery process. You can stop using opiates, even if you still face issues with pain. There are many alternatives now available that are just as good or better at managing the pain without the awful effects of addiction. The last thing any parent wants to do is give their kid a any type of drug. But in certain circumstances, such as a migraine, that cant be avoided. It has been reported that for somewhere between 10-28% of kids under the age of 18, many feel they have no choice. Truth be known, many pediatric specialists do recommend other treatments before prescribing medication. An increasing number of non-drug therapies are available for pediatric migraine sufferers. As it is true of any r alternative medicine (CAM) treatment, the physician must be a part of the team making the decisions and oversee the unique care of the pediatric patient. One of the most common non-drug treatment options is temperature therapy. The application of a warm or cool compress eases pain for many. Apply the hot or cold pack to the forehead and back of neck. Getting additional sleep can sometimes ease the suffering of adults with migraines. We have yet to see much additional sleep therapy studies that have been directly done on children yet. 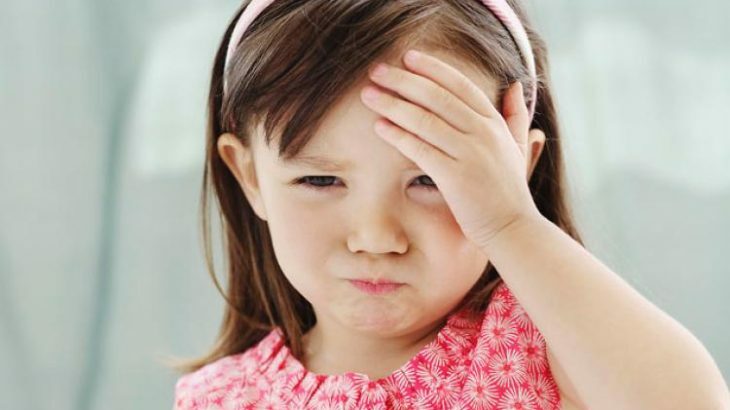 The duration of children’s migraines is usually shorter than that of an adult. It may be beneficial to have the child take a nap taken in a dark, quiet, area can eliminate some migraines altogether. Scheduling can be a factor in reducing the frequency of pediatric migraines. Unlike adults, who experience stress in an acute, episodic manner, children usually experience a constant stress level, particularly during the school year. Establishing a regular routine, including time to relax and an age-appropriate sleep schedule, helps many adult that deal with migraines. Learning to fully relax has proven beneficial. Some preliminary studies have proven successful utilizing self-hypnosis and guided imagery, is becoming the treatment of choice for recurrent pediatric migraines. Studies on the subject show that over half of the pediatric patients who learn these relaxation techniques experience less frequent migraines, but with no reduction in pain intensity when they do have one. There are many options for pediatric migraine therapy, do not be afraid to ask the doctor about drug alternatives. Migraine Medications: What to take and what not to take. THE AMERICAN MIGRAINE FOUNDATION HAVE STUDIED MIGRAINE MEDICATIONS & HAVE CHANGED THEIR RECOMMENDATIONS FOR MIGRAINE TREATMENT BASED ON THESE NEW FINDINGS. Get instant relief from Migraine Headache using Hibiscus flower & Ginglly Oil as Home Remedies.This is the best natural methods to get rid of Migraine Headache. CE Mark approval expands treatment options for patients suffering from the pain and disability associated with intractable chronic migraine. According to a Business Wire press release St. Jude Medical, Inc. (NYSE:STJ), a global medical device company, today announced it has received the industry’s first and only regulatory approval for the use of an implanted neurostimulation device for patients with intractable chronic Migraine. The company received European CE Mark approval for its Genesis™ neurostimulation system for peripheral nerve stimulation (PNS) of the occipital nerves for the management of the pain and disability associated with intractable chronic Migraine. 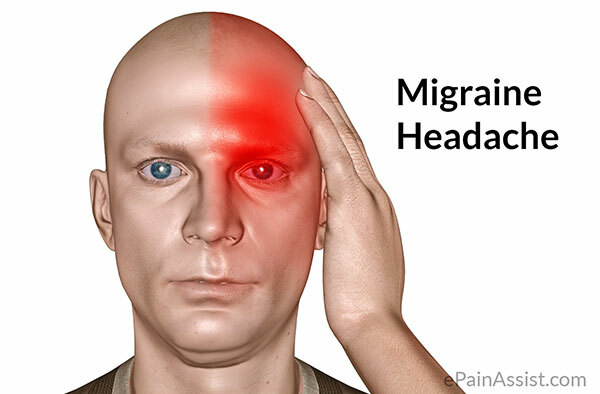 This type of Migraine is defined as headache lasting at least four hours per day for 15 or more days per month, causing at least moderate disability, and not responding to three or more preventive drugs. You can get an idea of how the Genesis™ sytem would be deployed to delivery its mild electrical pulses to the occipital nerves that are located just beneath the skin at the back of the Migraineurs head. PNS therapy for this condition involves the delivery of mild electrical pulses to the occipital nerves that are located just beneath the skin at the back of the head. A small electrical lead or leads are placed under the skin and connected to the neurostimulator which produces the pulses of stimulation. The CE Mark approval was supported by the results of St. Jude Medical’s chronic migraine study, a randomized, double-blind, controlled study that collected data from 157 patients. On average, participants enrolled in the study suffered from (Migraine) headache 26 days per month. The largest clinical study to date evaluating PNS to treat chronic Migraine utilized various measures including the Migraine Disability Assessment (MIDAS) questionnaire, subjective assessment scales and daily patient diaries to report headache intensity, frequency, duration and medication use. At 12 weeks, patients in the active group reported an average of seven fewer headache (Migraine) days a month as measured by the MIDAS questionnaire compared to only a one day per month decrease in the control group (non-stimulation group). In addition, overall disability as measured by MIDAS demonstrated that participants in the active group showed a 41% improvement after 12 weeks of stimulation, compared to a 13% improvement in the control group. Results of the major study endpoints were presented in abstract and poster format at the International Headache Congress in Berlin in June 2011. Study data will be submitted for publication in medical journals later this year and early 2012. For more than 30 years, the St. Jude Medical Neuromodulation Division has developed new technologies to treat chronic pain and other neurological disorders. Today more than 75,000 patients in 40 countries have been implanted with St. Jude Medical neurostimulation systems. Focused on research, St. Jude Medical is developing new technologies to address a growing list of neurological disorders. Additional clinical studies are currently underway for Parkinson’s disease, essential tremor, major depressive disorder, and other significant indications. St. Jude Medical develops medical technology and services that focus on putting more control into the hands of those who treat cardiac, neurological and chronic pain patients worldwide. The company is dedicated to advancing the practice of medicine by reducing risk wherever possible and contributing to successful outcomes for every patient. St. Jude Medical is headquartered in St. Paul, Minn., and has four major focus areas that include cardiac rhythm management, atrial fibrillation, cardiovascular and neuromodulation. For more information, please visit sjm.com. For many a Migraine suffer Midrin® was the first prescription a white-coat jutted down on a Rx tablet. It was our first trip to the pharmacist to get help for a horrible health problem. For a great deal more of us it was the first step in our health struggle to be taken serious. God bless Ed Bergeron, former President of Carnrick Laboratories—the pharmaceutical company that created that beloved maroon capsule called Midrin. You guessed it the company is no longer in the game, to bad as it was a great little patient first company. Mike & Terri both interview Ed in the 1990’s and Carnrick Laboratories gave MAGNUM our first small grant in 1996 as the company was very supportive of Migraine disease awareness beyond marketing games of any type. After years of false starts attempting to address the fact that that for some of us our quality of life was beginning to slip away and if one more doctor told us to just take more OTCs (Over The Counter drugs) we would want to scream! But alas we get our first Rx filled and upon our next prodrome (good move & drug working so much better) if we are Migraine literate if not we will wait till our head is splitting in half (not such a good move) and deploy that first real medicine for a life-long serious condition and to our surprise several hours later a moderate Migraine is ‘under control’. This was a whole new experience to say the least for many of us. Such fond memories can be found all around the nation judging by phone calls, letters, and e-mails which is why MAGNUM likes to call this the ‘Great Midrin®’ shortage beginning several years ago and the panic began! No, really, a real panic mind you did happen. People were genuinely shocked when the FDA began going after the DESI drugs with the new Administration and the lead up the The Patient Protection and Affordable Care Act (PPACA). What direct connections there are we have no idea. But we do know a great deal of older bio-engineered drugs are no longer with us just as we are seeing a great deal of generics disappear in the past two years. Time will tell if this is experts clearing out the deadwood or bureaucracy being overly efficient, which often leads down a road of inefficiency turning left on ironically ally. As far as coverage of the slow loss of Midrin from your local pharmacy there have been only a few well written articles about the subject. Besides www.MigraineBlog.org‘s coverage our friend Migraine Health Advocate Teri Robert did some top notch coverage such as Migraine Abortive Midrin and Equivalents Update Feburary 9th, 2011. on the Migraine.com network. Having said that let us all consider that generic Midrin is gone for good sans our friends who are compounding the cute little capsules. Well don’t panic as we spoke to nationally renowned Migraine Expert, with an eye in alternative treatments and we are sure many readers have seen him before. We would like you to meet Dr. Alexander Mauskop of CNN, FOX TV News, or MSNBC TV News fame? Dr. Mauskop and MAGNUM Executive Director Michael John Coleman discussed the Midrin crisis as Director Coleman noticed Dr. Mauskop’s spend years of his life as well as put a great deal of his own money into developing a over the counter anti-Migraine drug called “Migralex®? Like Midrin having both abortive properties and pain fighting properties having synergy to our old friend Midrin. But his drug Migralex® is base on magnesium, a well known Migraine fighting agent. Migralex® like Midrin® his medicine is compounded, but unlike Midrin it is compounded with aspirin an NSAID which is well known to be very effective in the correct doses. Now aspirin if over used in very large amounts every few hours by its self can be problematic you may have heard—leading to rebound headache. But rebound is NOT an issue as you are protected from it by just following the directions and taking the FDA recommended dose every 4 to 6 hours. We have had a great deal of positive feedback about Migralex® and it offers readers a readily available Migraine medicine to purchase online today to replace your empty Midrin bottle. 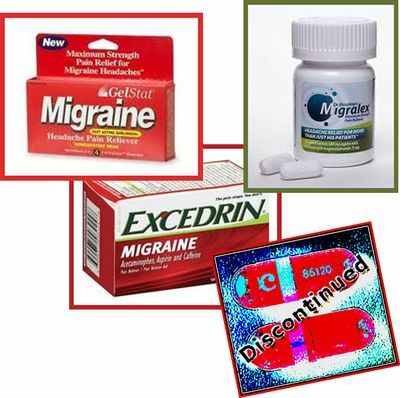 You can visit Dr Mauskop’s popular Migraine Blog, and make sure you discuss with you attending physician you might have found a milder buy very effect replacement for the defunct Midrin in case you has special health issues; such as health issues with magnesium or to say aspirin. Next on our list of replacement players up at bat is an old friend the ever popular GelStat® Migraine. GelStat came to MAGNUM’s attention as the first over the counter Migraine drug that offered an abortive capacity for the Migraine patient. Now we thought this was great as triptans, though very effective, are very costly. GelStat® Migraine is very effective at just $8.00 for a box of 4 separate 2ml oral doses. Now GelStat is based on feverfew, a tried and true alternative treatment being used for Migraine for hundreds of years. But only till recently do we have quality testing, some of which can be viewed at the GelStat website for your perusal www.GelStat.com. We also have some background on fever. Few on our Alternative Treatment section of www.migraines.org if you are still looking for more on the plant this drug is based on. We have some excellent feedback and we have others who this does not seem to be that effective. Several years ago we gave a hard working auto mechanic who cannot afford time off for a bad Migraine several boxes to try. With the exception for a severe ER Migraine he was trilled effectiveness of this odd little pill that you take sublingual (under the tongue). 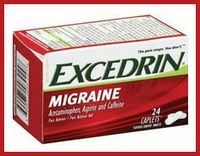 We can’t believe we are giving Excedrin® Migraine a free plug but this would not be good journalism if we did not point best last replacement player if our metaphoric team is kinda short and does not look like he is major league. 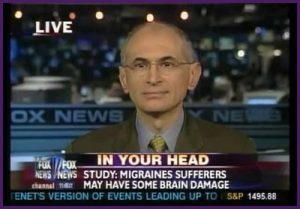 Having said that we would like to draw you attention to a quality product, yes MAGNUM will say it, but with this caveat–Excedrin® Migraine can be very effect for many of us who suffer from Migraine, but only those who suffer from mild Migraines, and an occasional moderate Migraine. But children do not try Excedrin® Migraine on a severe or god forbid on a profound Migraine because the medication will fail and you will need a triptan or an ergot in short order. So please discuss this with your doctor, but our idea would be for Migrainuers who suffer with mild to moderate Migraines you can consider this as a full time replacement for your RIP Midrin. But talk to you doctor about having abortive such as a triptan around to take on your breakthrough attacks. You may be able to get by with a few samples if you severe attacks are so rare. Which is why Excedrin® Migraine is something you may consider as you say goodbye to Midrin® for good. Migraines, they are a literal pain in the head. Almost 5 millions Americans experience the burden of a migraine at least once a month. What exactly are they, and what causes them? Migraines are severe headaches that cause throbbing in one particular area of the head. Symptoms that come along with these vicious headaches include nausea and sensitivity to light, these symptoms may vary in intensity depending on the person. Although researchers are not completely certain on what causes migraines, many believe migraines involve complications with brain chemicals and nerve pathways. 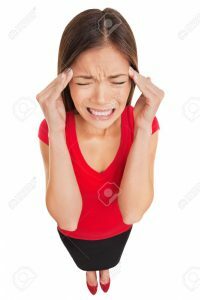 Omitting the past belief that migraines are caused by constricted blood vessels in the head, The Migraine Research Foundation has stated that they believe migraines are a collection of severe neauroligical symptoms as well as the fact that they are confident that there is more they can do for the victims of migraines. Migraines are usually self-diagnosiable, but for others who can not diagnose themselves, doctors can run blood tests as well as MRI or CT scans to further explore the issue. Once a patient is diagnosed with migraines, they are offered a wide variety of treatment options such as pain relievers and caffeine combination drugs. Although these treatments may not completely omit the pain of migraines or the chances of getting another one, it does lower the risks. Patients can also try just simply relaxing and trying to get a full eight hours of sleep every night. Home remedies that may help reduce the pain of migraines include natural oils such as peppermint oil and basil oil. Peppermint oil helps open and close vessels, as many migraines are often caused by poor blood flow. Basil oil is a natural muscle relaxant, so it aids in relaxing tight muscles in the head. Migraines are unfortunately heredity, so it is important for families to know how to manage their migraines, if it does happen to be in their genes.If either parent gets migraines there is a 50-75% chance that their child will as well. Families may be able to target who inherited the migraine gene by talking about family member’s past history with migraines. Understanding how others helped ease the pain of their migraines, may aid victims for their future head aches. This may also help victims be alert and aware as to what triggers these severe head aches as well as what symptoms come along with them. Those living with the trouble of migraine are also encouraged the keep a headache diary that includes triggers and symptoms along with the consistency of their migraines. I personally have had many traumatic experiences with migraines. My attacks would last about a week and gradually get worse day by day until it was so excruciating that I could not leave my bed. I would have to put up black out curtains in my room and stuff my head inside my pillows. Even the slightest noise or shining lights brought so much pain to me that even thought of standing up upset my stomach. I could not eat for my stomach was so nauseated, and even if I attempted to, I would just throw my food back up. One of the things that helped me during this times was BC powder, a powder formula that contains 845 mg of aspirin and 65 mg of caffeine. Although it took me a long time to discover this wonderous powder, I was very glad that I did. The pain from a migraine can justifiably be bad enough to drive someone to take heavy drugs and end up in a rehab. This seemed to be the only thing that could ease the pain of my headaches. Although this worked for me personally, this may not be the best option for other migraine victims. Many people prefer more natural treatments such as massage therapy or natural oils as I mentioned earlier. Another effective option is increasing vitamin and mineral intake. Many people say that acupuncture, a form of alternative medicine where thin needles are inserted into the body, works for them. Studies show that acupuncture helps relieve the pain of migraines by increasing blood flow and stimulating nerves and muscles. In contrast to that, many people belief pain medications work best for them. Anti-seizure medications such as valporic acid and torpiramate reduce migraine chances because they contain neurotransmitters. Some people prefer the all natural way, while others would rather pain relief drugs. It all depends on the person and how severe their migraines are as well as what works best for them. In overview, migraines are very burdensome and the 6th most disabling disease in the United States. Many people are still trying to learn about what triggers their migraines as well as how to treat them properly. Although the chance of getting another migraine may be very troubling to those who have had one of this terrible headaches, there is hope for victims as researchers are studying more on what causes them and how to properly treat them. There is nothing to be ashamed of when looking for a drug rehab clinic. In fact, you are taking a brave step in overcoming your addiction by finding an accredited rehabilitation center. From inpatient rehab to outpatient rehab, there are so many benefits and ways to find the best treatment center to meet all your needs. While you may not be in the best state of mind, there is also no shame in asking friends or loved ones for help. In fact, they can help find the best center, along with comparing online reviews and industry testimonials. Remember, drug rehab help is also about emotional and moral support from your family members and friends. 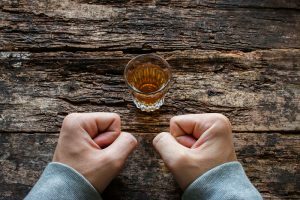 Whether dealing with alcohol addiction or substance abuse, local rehab centers are committed to helping you get your life back. 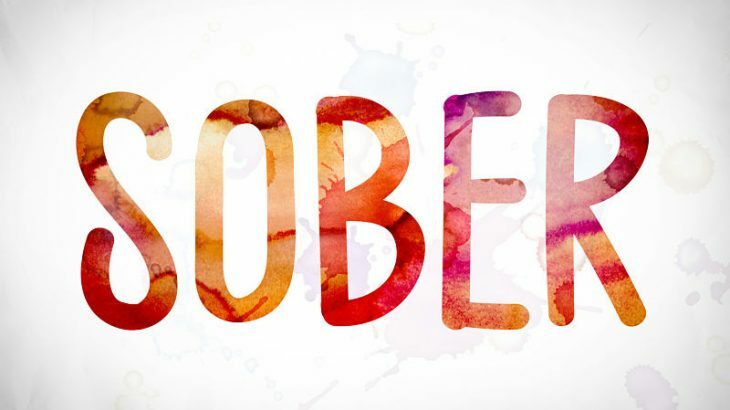 This is done via proper nutritional guidance, along with personal counseling, group counseling, activities, and medicines that help the body and mind recover from substance abuse. Drug rehab centers feature compassionate and caring doctors, nurses, mental-health experts and staff. Each team member plays a key role in helping you cope and overcome your addiction. Form anxiety and depression to drugs and alcohol, each program is customized and designed specifically to help you tackle and defeat addiction! Which Rehab Center to Go With? Finding a good and reputable drug rehab center does not have to be hard. Again, you should reach out to loved ones and friends that can help you. Remember, your family members and friends love you and will always be there every step of the way. By simply acknowledging that you have a drug addiction – that is literally winning half the battle. These centers not only help you medically and mentally, they can truly change your life at every turn. In fact, with guidance counselors and physicians – drug rehab teams are able to help you avoid triggers that lapses back into addition. • Educating and informing you on the best ways to avoid alcohol, drugs, tobacco or other harmful substances. • Teaching you how to love yourself, while reconnecting with your body, mind, spirit and soul. • Embracing your beliefs, ethics and morals – never judging you – and helping you become a strong-minded and independent person that will no longer need “crutches” to combat daily trials and tribulations of life. • Helping you improve your health with proper eating habits, rest, exercise, activities, and staying positive even in the most negative situations! The single most important thing is admitting you need help. Admitting you need help can be the most challenging part but is an important first step. Once you have broken down that interior barrier with yourself, you can start on the road to recovery.